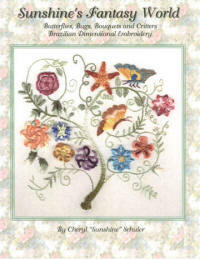 A wonderful new Beginning Brazilian Embroidery design. 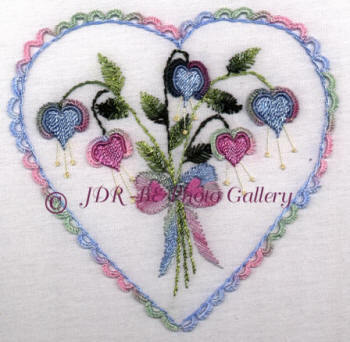 I have included the needed stitch reviews and the design elements directions. One skein of green Iris 050. One Skein of Glory 138 Yellow, One skein of Iris 143 Pink, Iris146 Blue, Iris 313 Variegated and Two skeins of Iris 021 Pastel Variegated.